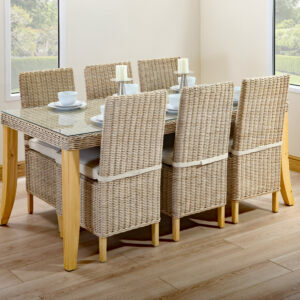 Kingsway Cane supplies a selection of affordable and comfortable cane and rattan dining furniture. 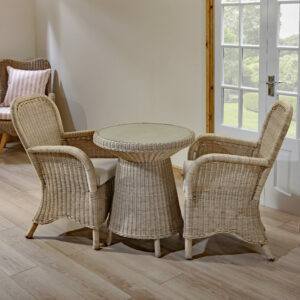 Designed and built to last, our dining furniture is perfect for individuals, couples and families. 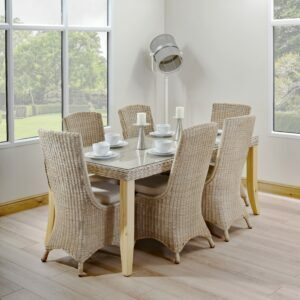 The remarkable craftsmanship of our furniture is sure to impress friends and relatives, making it a great centrepiece for your dining room. 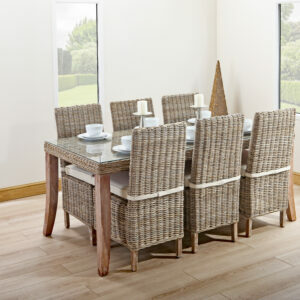 Easy to clean and maintain, our cane and rattan dining furniture comes with a tempered glass top to offer an elegant and stylish finish. 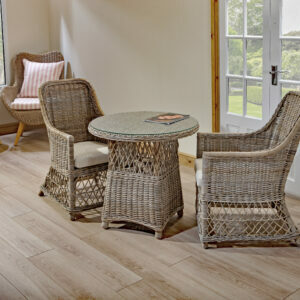 Take a look and choose between our Chambray, Havana, Matero and Tursi ranges.